Laser hair removal is a treatment that can reduce or eliminate unwanted hair and patients will see results right after their very first treatment. Typically, it takes 6 to 12 treatments, four to eight weeks apart are required. Laser hair removal can be used to treat any area of the body including underarms, back and shoulders, legs, bikini area, chin, chest, abdomen and even the face. Laser hair removal does not require any recovery or down time, and you are free to carry on with your daily routine right away. Christine will go over post treatment care with you and you will be given a copy of detailed instructions on how to care for your skin after the treatment. The laser uses a combination of energy and heat to damage and destroy hair follicles without harming the skin. The treatment requires a series of sessions for best results. 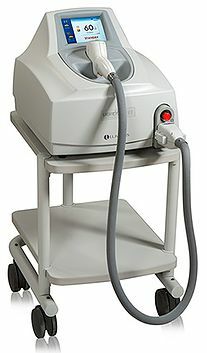 For most patients, laser hair treatment requires six to 12 sessions, four to eight weeks apart. Should I avoid anything before a treatment? You will need to avoid spray tans, self tanning creams and lotions, tanning beds and long periods of sun exposure for 2 weeks prior to your treatment. Most patients describe the sensation of being snapped by a rubber band every now and then. The feeling comes and goes very quickly. What If I Do Body Waxing? If you are waxing, tweezing or bleaching the area that is going to be treated, you will need to stop 4 weeks prior and just shave the areas as needed. Try and avoid lotions, creams, perfume, makeup and deodorant in the treatment area.